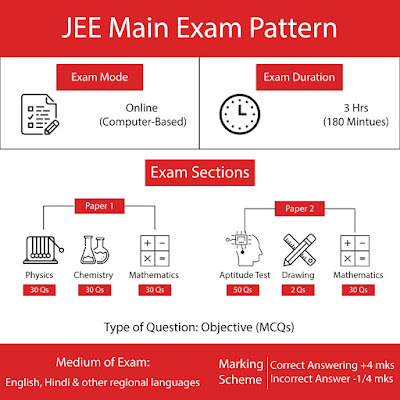 JEE-MAIN i.e Joint Entrance Examination is the national-level Exam for entrance into the vast majority of the engineering universities the nation over. Consistently around 12-14 lakh students show up for JEE-MAIN. Every one of the NITs and IIITs acknowledge JEE-MAIN score for the admission. This is a standout amongst the most mainstream placement tests in India. Prior, JEE-MAIN was led by the Central Board of Secondary Education (CBSE). From year 2019, the National Testing Agency (NTA), the recently shaped body, will lead the test. Additionally, NTA will led JEE test twice a year – January and April, allowing the students a chance to enhance their score without dropping a year. Many of the students observe JEE-MAIN to be extreme and hard to crack. 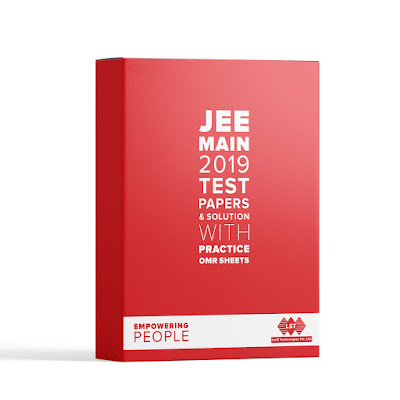 The quantity of students showing up for JEE-MAIN builds every year, which additionally expands the competition. So as to crack JEE-MAIN and get into India's best college, student requires assurance, steadiness and arranging. For January Session, the exam is scheduled from January 6 – 20. Exam Section: Paper 1 of 90 Questions with 3 sections, Physics -30, Chemistry-30, Mathematics-30. Exam Medium: The question papers at all exam centers will be in Hindi and English. For exam centers in Gujarat, Daman & Diu and Dadra & Nagar Haveli, the medium of exam will also be available in Gujarati. Marking Scheme: Each question carries 4 marks. For each incorrect answer, 1/4th mark of the total mark allotted will be deducted. Note - *Data is indicative and there may change in numbers/data"